La Mer and National Geographic are teaming up to give you a chance to win a National Geographic Expeditions trip of a lifetime on the beautiful seas of North America’s Pacific Northwest. You’ll experience the region’s stunning scenery and abundant wildlife, while getting photography tips from a National Geographic expert. You may also have the chance to win thousands of dollars in ocean-inspired products, including gifts from La Mer’s legendary skincare line. Submit up to three (3) different photograph entries of the ocean or ocean-inspired themes depicting the beauty and wonder of the sea. ONE Grand Prize is worth $27,000. TEN runners-up each could win prizes worth $1,550! Acceptable submissions are any ocean-related images, including but not limited to shorelines, close-ups of waves, marine sea life, sea kelp, coral, people enjoying the ocean, sailing at sea, long-boarding, surfing, fishing. Get creative—we are looking for your best gorgeous ocean imagery. IMPORTANT: We cannot accept submissions of freshwater scenes or themes such as lakes, waterfalls, rivers, ponds, etc. All entries must be salt water (oceans) related. Good luck! 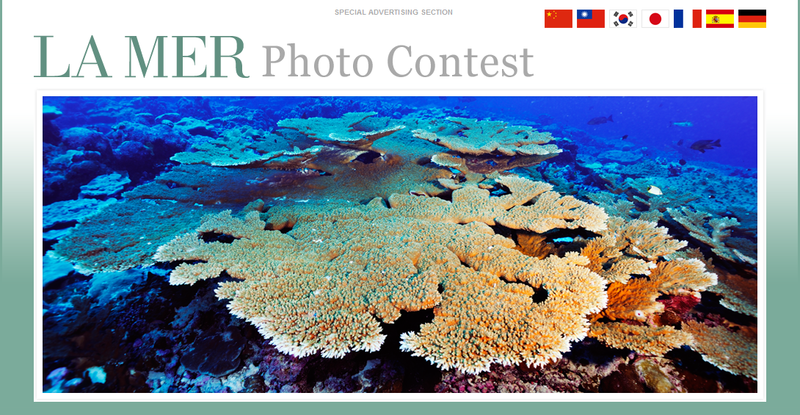 Remember, be sure to enter up to three (3) photographs to increase your chances of winning. We want to see your best shots. And check back weekly to see the handpicked Editor’s Gallery of our favorite images submitted each week. Contest ends on July 31.